Many people may prefer the Do It Yourself method for your lawn, but when it comes to tree removal and large branch trimming, most experts agree that this should not be among the projects. These jobs are best done by professionals because of safety precautions, specific skill and precision needed. Saving a few dollars by doing the job yourself isn’t worth endangering your life for. There are many sad details of owners getting killed or severely injured when attempting to trim or remove large trees on their own. That being said, it’s better to leave tree branch removal in New Jersey to trained professionals like us at Amazing Tree Services to handle risky tasks like this. 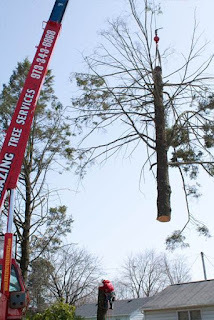 It is important to do your search properly when looking for a tree branch removal services because any mishap can result in a devastating result to your yard and the rest of your home. So what are the main factors to consider when determining the cost of tree branch removal and how well will it fit your budget? The height of the tree is mostly used as the basis of service charging by many companies. Usually, they charge a set fee per foot, and this may vary depending on the tree height. Branch removal has a different price too—every tree and each of its branches is different so there is no fixed, general price. However, we do offer free estimates at Amazing Trees and will be happy to help you with any questions you may have. If the tree happens to be in a tight spot like in between properties or near power lines can complicate the removal which unfortunately will raise the cost. But this is common place, and only because it requires the utmost care as to not cause damage to any standing structures. Whether the tree is dead or alive will as affect the cost—dead, dry trees are more prone to breaking and can potentially be a fire hazard. Emergency branch or tree removal is costly. If your tree is about to fall, you will spend more because the company has come in short notice and need to complete the job quickly. If it’s during the storm, then it’s riskier for workers. 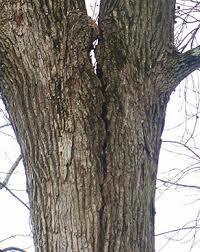 But we don’t want anyone with a potentially harmful tree stay with it in place. So we will work with you to get to your emergency as soon as possible. 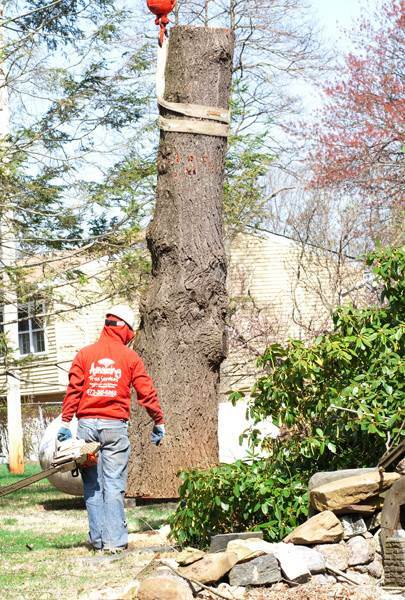 For more about our tree branch removal in New Jersey please don’t hesitate to call us at (973) 343-6868. Choosing the right tree removal company is not always easy, though with Amazing Tree Services it’s all being done with ease. 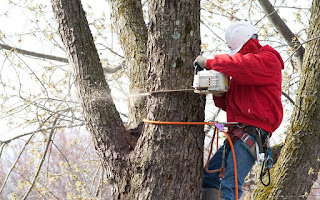 There are numerous options and qualifications to consider for tree removal company in New Jersey. Ask about the following, and you’ll be sure of receiving great work and getting the right company for the job. The tree removal company you select should have liability insurance as well as worker’s compensation insurance. This is why Amazing Tree Services is fully insured so there should be no worry when it comes to hiring them. Ask to see certificates for proof of insurance. This is to protect their workers, and to protect you as well. You don’t want to be liable if any injuries or accidents occur on your property. With other companies you might have to search for consumer reviews, ask about customer testimonials, but not with Amazing Tree Services. You do not have to ask, they have any additional credentials, or are they affiliated with any professional organizations? Because with a quick phone call or search all of these inquires can be answered. How does the company’s price compare to industry averages? If they’re too cheap or too expensive, you might be at risk of a scam or low quality work. Getting a fair, quality estimate will help you decide. Having been around for many years, Amazing Tree Services has been removing, trimming trees, so they will get you a great deal. Different factors may impact the price of tree removal, so pay attention to the manner in which the company plans to remove the tree. Are they planning to remove it all at once, or in different sections? This may impact the price. attract scammers. At times like these, it’s even more important to select an established company with a good reputation. Amazing Tree Services has all the credentials, can provide price estimates, and so you know you’re getting you’re getting high-quality work. Keep these factors in mind, you’ll be sure of high quality work, a fair price, respect and care for both you and your property. For more information, please don’t hesitate to call our tree removal company in New Jersey at 973-343-6868. 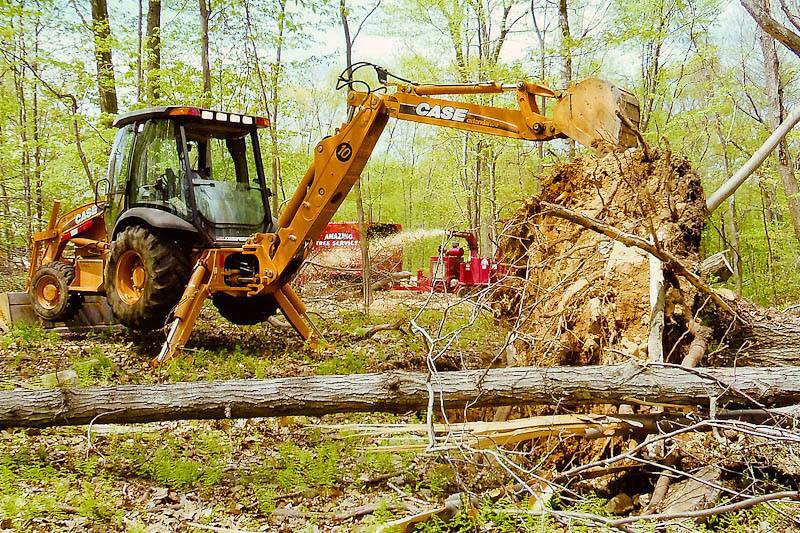 Land clearing in NJ is the process of removing trees, brush, and other types of flora from a piece of land. Depending on the size of the land, the location of the land, and why the land is being cleared, excavation may also be required. In most cases, one of three types of land clearing methods will be used: cut and grind, pushover, burning. 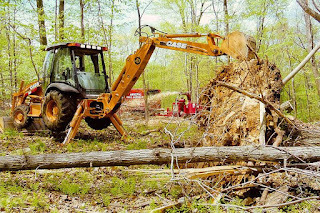 Amazing Tree Services is your source for land clearing in NJ. Our specialists work hard to clear your property of trees, growth, brush, debris, boulders, and any other obstructions - giving you a clean slate from which to build. Even small land clearing projects require expert knowledge and skill. At Amazing Tree Services, we bring you quality results through our years of experience, fully trained crew, and our own equipment and vehicles. 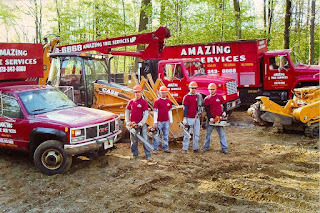 When you need land clearing performed within your budget and time-frame, call Amazing Tree Services. The first step in the cut and grind land clearing method is to cut down all of the trees on the land being cleared. While the trees are removed, the stumps are left in the ground. Then, a large piece of construction machinery is used to pull the stumps out of the ground so they can be ground into mulch. The burning method is the most dangerous option for land clearing in NJ. This method involves setting a controlled fire and allowing it to continue to burn until all of the trees, brush, and other flora have burned to the ground. Once everything has burned, the fire is extinguished, and a bulldozer is used to finish clearing the land. It is important for the owner of the land to know that land clearing leaves the top layer of soil open and exposed to natural elements and erosion. You can preserve this top layer of soil by planting grass on it. In the long run, it is easier to remove a patch of grass than to import new dirt. For more information about land clearing in NJ, call Amazing Tree Services at (973) 343-6868. Are you in need of tree service in NJ? Amazing Tree Services provides a range of tree services throughout Bergen County, Passaic County, Morris County and Essex County. Our professional tree experts are committed to your satisfaction, so you can rest assured that your property will be left looking beautiful. Transplanting: Moving a planted tree from one location to another and ensuring its survival in its new location. Pruning: Cutting or removing of branches or parts of trees for improving the shape or growth of trees. Hedge trimming: Trimming of laurel and cypress hedges. Stump grinding: Removal of tree stumps. It can be done manually or mechanically. Providing structural support: Sometimes involves cabling, which is the installation of a cable system between leaders, limbs, and branches within a tree to provide supplemental support. Removal of vegetation deemed as hazardous, disease vectors, weeds, or invasive species: Removing trees that can become hazardous liabilities i.e. with loose limbs or rotten trunks/stumps. Arborist reports, tree evaluations and permits: Comprises evaluating hazardous trees and providing expert opinion on such matters and/or writing and filing tree permits on behalf of home owners. 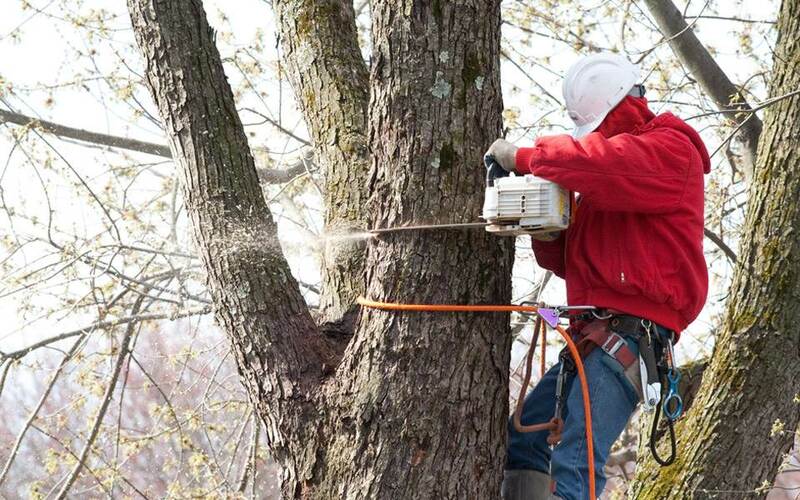 Emergency tree care: Breaking off limbs or bringing entire trees down when storms or other unpredictable events cause unfortunate damage to trees. Brush chipping: Chipping property owners’ brush piles. Lot clearing: Clearing of woody vegetation from a specified natural area on properties. 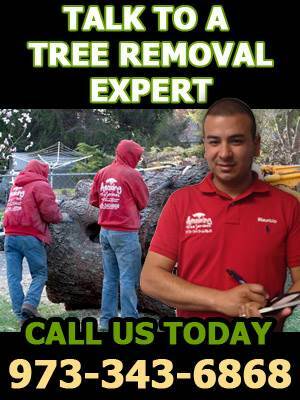 Our professional tree experts offer responsive and technical service. We have equipment that most home owners usually do not own for the purposes of tree care and/or removal. Our tree service company maintains the proper insurance necessary to protect your home and property against damage and injury. When storms hit, we can help with the difficult decision of what to remove and what not to remove. 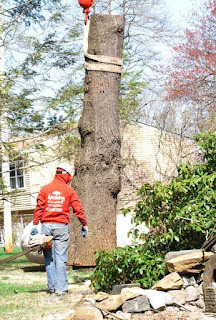 For more information about our tree service in NJ or to receive a free tree estimate, call Amazing Tree Services today. Amazing Tree Services- Your trusted source for tree service in NJ! Are you wondering about tree removal cost in NJ? At Amazing Tree Services, one of our tree removal experts will be happy to assist you in a free tree removal estimate. When you call us for your next tree removal, you can rest assured the job will be done completely and as safely as possible. No matter how big the fallen or living tree is, our professional crew will remove your unwanted tree at a price that you can afford. There are several factors that impact on the exact cost of removing a tree, such as the height of the tree, complexity of the job and the proximity to buildings and other installations. The cost may also vary depending on condition of the tree. Basic tree removal services involve chopping the tree down and hauling it away. At Amazing Tree Services, we also offer you the option of splitting the wood for firewood. 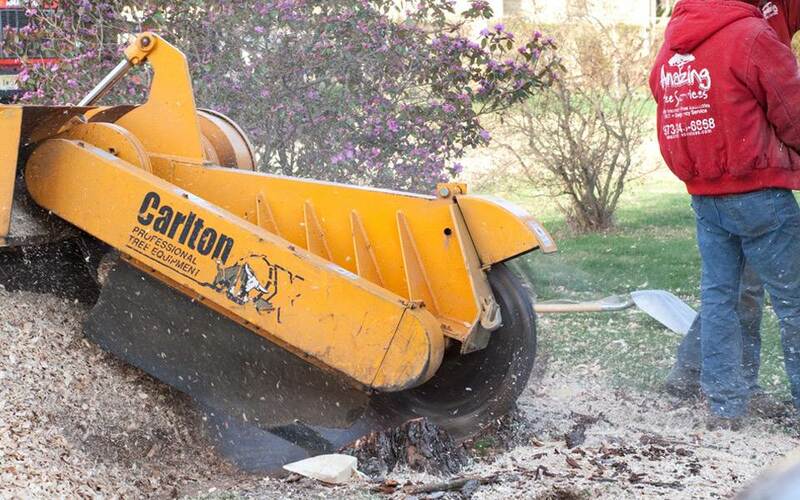 If you have a stump left over from a past tree removal, we have the machinery and technical skill to remove them. Our tree removal crew can grind the tree up for you to create wood chips for various uses. Customers in the past have used the left over chips to create flooring for a jungle gym! Our tree removal experts will come with a log splitting machine to do the splitting. When we are finished with your tree removal project, we will haul away the tree for you leaving your home just as clean as we found it! Removing a fallen tree is less risky than removing a healthy tree that is standing in the field. The cost depends on the location of the tree, size, and proximity to the surrounding buildings. If the tree has fallen on structures such as houses, the cost of its removal depends on the risk involved and the complexity of the work. For more information about our tree removal cost in NJ, or for a free tree removal quote, call Amazing Tree Services today! 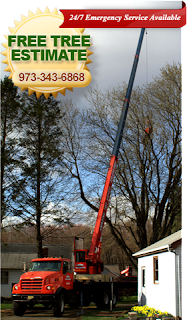 Amazing Tree Services- Your source for fair tree removal cost in NJ!